In the 20 years since the switchover to digital, photography has morphed into a highly manipulative exercise in post-production. So when you meet a pair of photographers who put a premium on hanging out and anticipating that unexpected perfect shot, their originality stops you in your tracks. Calgary’s Roth & Ramberg (Dale’s the Roth, Michele’s the Ramberg) met at photo school in the late 1980s. “We came together over beer and tater tots at the Northern Alberta Institute of Photography,” says Roth. Sharing a studio at school, they studied and dissected their craft, went on to find their first jobs as photography assistants, got married (but not to each other) and, in 1993, opened a commercial studio together in Calgary’s Beltline warehouse district. Eighteen years later, it’s still just the two of them, their 50-megapixel Hasselblad H3Ds and a few trusted freelancers they bring in for retouching and Photoshopping. “We know Photoshop,” says Ramberg. They don’t geek out over it, however, preferring to spend their time behind the camera lens than the computer screen. And that’s the beauty of a Roth and Ramberg collaboration: faking it is not an option. Well, okay, occasionally they’ve been known to reach for some snow in a can when Mother Nature wouldn’t perform. Like the shoot for crude oil giant Syncrude, which shows a woman sitting beside a real-life bison on a ski lift. Photoshop brought the two together (after separate shoots), and a few swipes of their mouse lowered the safety bar on the pair. Whoever answers the phone when a client calls usually gets to photograph the project. Once on set, one of them relaxes the person, chatting and telling jokes, while the other sets up the gear and, eventually, pushes the button when guards go down and subjects reveal themselves. 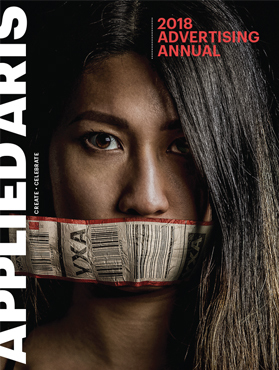 Roth and Ramberg’s recent print and poster campaign for Mothers Against Drunk Driving (MADD) is arguably their most arresting advertising project to date. Starting with the tag line “Don’t make it a grad night to forget,” the final image shows a dead girl coming through the glass of her framed grad photo. During the shoot, the actress gingerly crawled inside the hole in the glass. “There’s not a lot faked in that picture other than the frame around her,” says Ramberg. 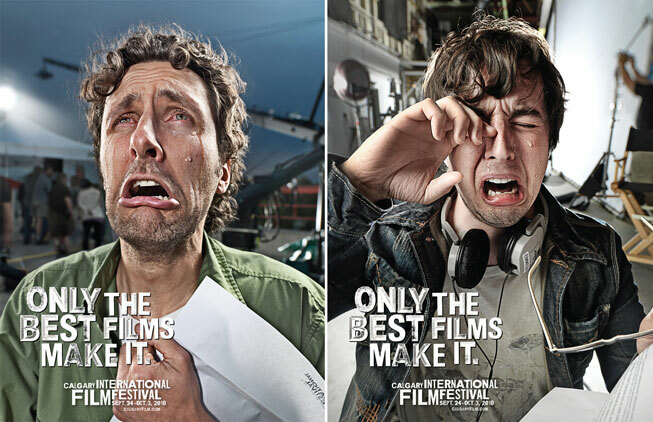 Another print and poster campaign, this time for the Calgary International Film Festival, shows a series of portraits of rubber-faced actors playing wannabe filmmakers bawling their eyes out over their rejection letters. The tagline reads, “Only the best films make it.” To stir up the water works, the actors rubbed onions directly into their eyes when the photographers’ coaxing wasn’t enough. Roth and Ramberg also devote a significant amount of time to personal projects, many of which have garnered awards such as the 2006 Hasselblad Masters and a 2008 PDN Awards Annual in the personal work category. Every year they go on a weeklong trip to shoot their annual promotional calendar, preferring somewhere remote with plenty of fishermen, musicians, carpenters and off-the-grid types with stories to tell. “You start out in a community where everyone wonders what you’re doing there and by the end of the week you’re being invited to weddings,” says Roth. Scanning Roth & Ramberg’s diverse oeuvre it becomes clear that their photography is all about the people they encounter. “We seek them out in their environment, but their environment never overtakes them,” says Roth. That, you could say, is their signature style.